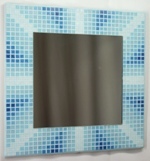 It is made from 24,765 tiles in 44 colours, with a nominal size of 1398mm wide x 2146mm high (approx 55 x 84 inches). 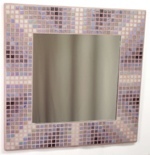 This mosaic design is sized close to full height for most walls, with a width suitable for many larger showers. 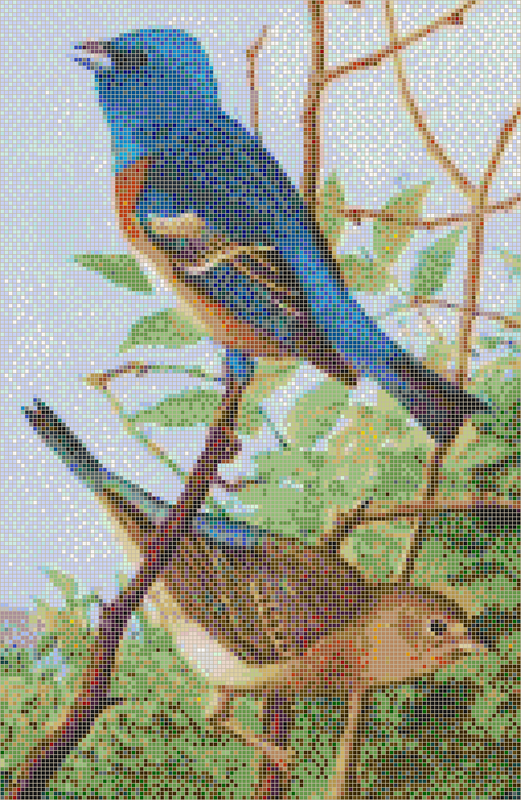 This mosaic design is Copyright © 2011 Kaamar Ltd, based on an original illustration Lazuli Bunting by Louis Agassiz Fuertes (1874-1927) for "Birds of the Rockies" published 1902 under Public Domain licence. 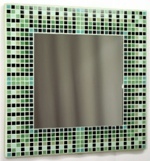 No of Tiles: 24,765 tiles (127 wide x 195 high) in 44 colours. 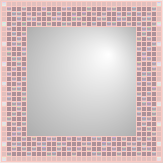 Mosaic Size: 1398mm x 2146mm nominal (approx 55 x 84 inches). Mosaic Area: 3.000 square metres nominal. No of Sheets: 24 full sheets, 11 partial sheets.